This is the classic roulette game in which you can choose to place your bets on black or red color, range of numbers or just one single number, even or odd number. There are different variations of this game played by millions of people all over the world: American, French, European. Nowadays you can play roulette for free on any of the numerous simulators available in the Internet, you can play it for real money online or in a traditional casino, and you can even enjoy playing roulette game using Bitcoins or any other modern cryptocurrency. Good luck! Mouse is needed for controlling this game. 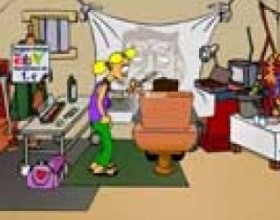 In this part of Murphys Law's games you have to damage this guys date. A girl is about to come to his apartment and your goal is to arrange some things to create the biggest possible damage to ruin his date. Maximum score you can reach is 180. So pick YOUR MOUSE and search for objects you can use or combine. Your objective is to annoy Santa as much, as you can and make him feel uncomfortable. Click on the objects to activize them. Use your mouse to move them to a desired place. Yeah, this guy shouldn’t have visited your house and bring the presents! 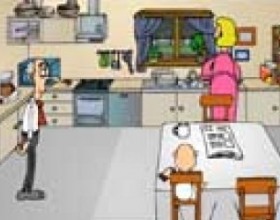 Your aim is to do some pranks to old man and make him angry. Use YOUR MOUSE to click on objects to activate them or to use them for something. Third game from Murpfy’s Law series. Your aim is to do some pranks to senior worker who is going to be interviewed by the press. Use your mouse to activate different objects and make the senior feel really, really bad. A well known German politician is going live on TV show and it is time for some nasty pranks. Use YOUR MOUSE to mess with things on screen to make him upset. Enjoy being a prankster and Good Luck! Each country should be proud of its culture and national peculiarities. With no doubt Germany is of a great interest to all travelers and foreigners. Computer games developers could not miss an idea of creating typically German games, which are going to be interesting not only to the Germans themselves, but to the other peoples as well. Like animal games? Why not to try the German version of the Hamster game? 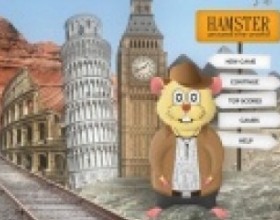 Your task is to help Hamster travel all around the world, discover new countries and get acquainted with new friends. But travelling can sometimes be a bit dangerous, so be very careful and attentive and avoid various dangers that are awaiting you almost everywhere. You will have to finish thirty levels. Try to collect as many points as possible. If you are interested in playing card games and like risking, gambling can provide you with just that feeling. 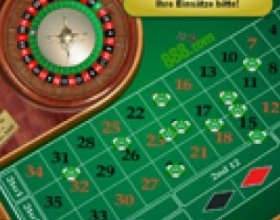 In German Roulette game you are going to place your bets on numbers by selecting coin and then clicking on the deck. Press black button to spin roulette. Try to earn as much as possible. 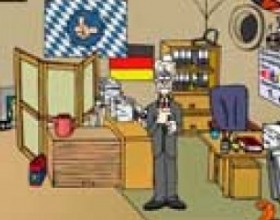 Germans are well-known as hard-working and pragmatic people. But are they all like that? The developers of Murphys Law 6 doubt very much about that. Even at work it is still possible to have much fun. This time you will have to ruin office workers’ day, do lots of bad things and make them look like complete clowns. Just use your mouse to search for objects and click to use them. Try to reach 180 points maximum. Politics is one of the most discussed topics throughout all communities. In Murphys Law 4 a well-known German politician is going to debate live on one of the national TV channels. But he is not supposed to do that easy, isn’t he? Your task is to annoy him and make some nasty tricks. Try to make as much trouble as you can. Doesn’t everybody love Christmas? The incredible Christmas spirit is completely impossible to forget. And, of course, the most famous Christmas character is Santa Claus. 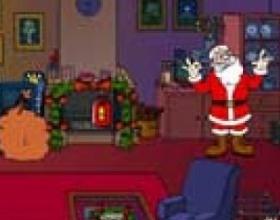 In Murphys Law 2 your purpose is to make Santa regret that he came to your house. Perform some funny jokes with the old man and plunge into the wonderful atmosphere of Christmas holidays. 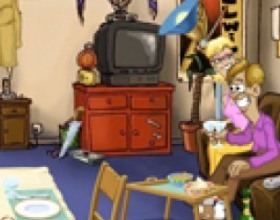 Naturally, German computer games can be easily found online. Come to our web-page and you are going to find only the best samples of the genre. German games always attract gamers with their high-quality graphics and design, funny music and characters. Enjoy gaming!